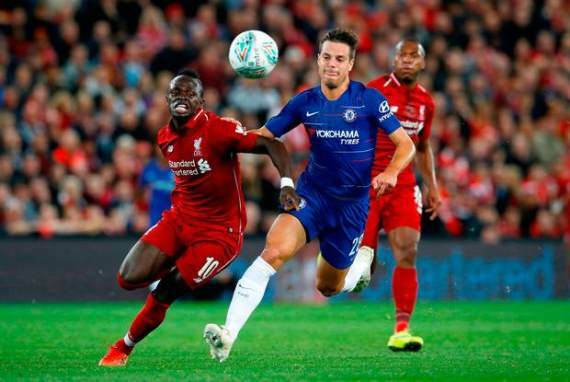 There were fireworks aplenty this past weekend in the Premier League, with Manchester City overtaking Chelsea and Liverpool, who played out to a 1-1 stalemate at Stamford Bridge last Saturday. Elsewhere, Jose Mourinho sunk deeper in the hot seat at the helm of England’s biggest club, Manchester United, by losing 3-1 on their trip to West Ham. It’s becoming embarrassing for the Red Devils now. On a more positive note, Tottenham and Arsenal kept up the chase at the top, with Spurs claiming their second consecutive victory, while the Gunners made it five in a row. After producing a whopping 7/1 treble last week, let’s hope we can kick-start the month of October on a winning note as well. Brighton were easily rolled over by champions, Manchester City, despite Pep Guardiola’s men not coming at the Seagulls in their usual gung-ho approach. Brighton may have started the campaign off on a high note, but their recent displays have been shocking, failing to win in any of their last five league encounters. West Ham seem to have turned the corner after a dismal start in the Premier League. After four consecutive defeats, the Hammers beat Everton, drew with Chelsea and come off the back of a brilliant 3-1 victory over Manchester United. This is a team on the rise and one that should be feared. Back the visitors here at 19/10 – excellent value! Crystal Palace are still in search of their first home win of the campaign when they host Wolves this Saturday. At Selhurst Park, they’ve drawn one of their three games played and are yet to score a single goal on their home turf. Wolves have been remarkable since their return to the top flight and are riding the crest of the wave, being unbeaten in their last five Premier League encounters. The visitors have been in superb form and have recently taken points off Manchester giants, United and City. My money is on Wolves to Win or Draw at 9/20. Tottenham have the perfect opportunity to make it three wins on the bounce when they host Cardiff this Saturday at Wembley Stadium. Harry Kane hit a double last weekend as Spurs overcame yet another relegation candidate in Huddersfield, making it three wins in a row in all competitions. Mauricio Pochettino’s men face Barcelona in the Champions League in midweek, so a lot could be taken out of them before they square up with Cardiff. At the same time, with all due respect, Cardiff are a team that you could beat while still in first gear. Back Spurs on the (-1) Handicap at 11/20 and include in all multiples. Watford will be hoping to return to winning ways after their recent slump in the Premier League. The Hornets are without a win in their last three games, although, two of those encounters came against Manchester United and Arsenal. Bournemouth were brilliant on Monday night and outclassed Crystal Palace at home to endure their best start to a Premier League campaign. A win over Watford could see the Cherries leapfrog the Hornets and move into the top six. Watford have won three of their four home matches this season and put up a really good fight in their defeat to Arsenal last weekend. At 11/10, Javi Gracia’s men are tipped to utilize home advantage. Leicester City seem to have taken an upturn in form recently, winning their last two league encounters, both by a margin of two goals. Everton ended their four-game winless run with an emphatic 3-0 victory over Fulham, with Gylfi Sigurdsson unlucky not to have bagged a hat-trick after missing from the penalty spot. Last season, both these sides won their respective home matches against each other, and with Jamie Vardy finding his scoring boots, you get the feeling that the pattern could continue. That said, the Toffees’ indifferent form also leaves me with no confidence of backing them to grab two great results consecutively. The home win is priced up at 12/10, although Leicester on the Win/Draw Double Chance & Both Teams to Score is valued at 23/20 – seems the safer option and not much difference in pricing – get on! Burnley will hope to continue their rise to prominence when they lock horns with a Huddersfield side who have been disappointing since the start of the new campaign. The Clarets are on a two-game winning streak and they’ll surely fancy their chances against the Terriers. David Wagner’s men dropped down to the foot of the table with their 2-0 defeat at home to Spurs, stretching their winless run in the league this season. The bookmakers are being generous with odds of 23/20 so take full advantage and back Burnley with confidence here. Manchester United need a turnaround performance to get their season back on track and perhaps take some of the tension away from the club’s supporters and Jose Mourinho. The Red Devils were embarrassed at West Ham and the fact that Scott McTominay played at centre-back brings up the question: is Mourinho really that special? United were 2-0 down, chasing a goal and they take off Paul Pogba. There is trouble in the camp and Newcastle have the perfect opportunity to take full advantage of it. Newcastle are very much defensive minded away from home, although the same can almost be said for United at home. This is one game I would avoid putting my money on – although Under 2.5 Goals seems to stand out ahead of the other markets at 9/10. Fulham seek their second top-flight victory since their return to the big time when they host Arsenal in Sunday’s early kick-off. The Cottagers are just one place above the relegation zone and come off the back of a 3-0 drubbing at Everton, which, in all fairness, could have been worse. Arsenal are currently on the longest winning run in the league, enduring a five-game winning streak and are now just four points off the top of the table. Under Unai Emery, the Gunners have prioritized results instead of fancy football, and in their last two games especially, it has certainly paid off. The only concern heading into this fixture is an away trip to Azerbaijan in the Europa League on Thursday. Still, Arsenal should see Fulham through at 6/10. If results go in their favour, Chelsea could climb on top of the table and end the weekend off as joint-leaders. They’ve been in excellent shape this season and have looked smoking hot under Maurizio Sarri – pun intended. The Blues beat Southampton three times last season, twice in the league and dumped them out of the FA Cup. The Saints are winless at home in the league this campaign and are on a two-game losing streak. Back Eden Hazard as an Anytime Goalscorer or Chelsea to win at 13/20 – both will come in.